Lacrosse- the fastest growing sport in America - Colette Freedman is a top Hollywood Script Doctor who has also ghost written several novels. 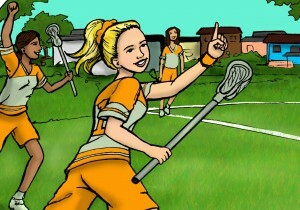 Sometimes, when I look back on my life, I see it in two categories: Lacrosse and everything that came after lacrosse. 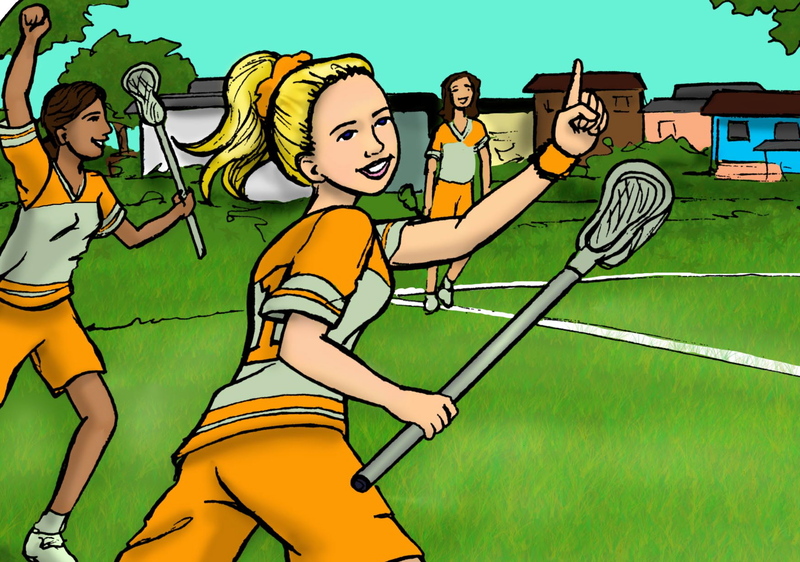 For the first half of my life, I pretty much ate, spoke, and breathed lacrosse. It was my everything, my passion, my all consuming hobby. I was in love with a sport which celebrates aggression, game sense, teamwork, stickwork and endurance. And I loved it. Everything about it. I used to sit in math class, coming up with different lineups for my team (This came in handy when I later coached at D-I level and my lineups were taken seriously). I used to eat dinner with my left hand in order to become ambidextrous. I used to practice my cradle 1,000x a day in front of the mirror. I’d visualize scoring goals, defending our goal, checking the ball out of an opponent’s stick, catching the draw. In college, my father joked that I had majored in lacrosse… and, for all intents and purposes, I had. My coach, Deb Gallagher, was by far the most influential ‘professor’ I would ever have. And she taught me life skills far beyond the classroom: determination and the will to succeed. My idols were my coaches and US team members; My friends and I would do anything to play with them, to let some of their skills rub off on us. As I look at pictures of myself in uniform, cockily holding a stick over my shoulder, I feel like I am peering into the eyes of a stranger. Who is that girl who loved the sport so much? Is she the same person who sits at a computer ten hours a day writing? We’re two completely different people and, yet, we’re not. Because when I look at those pictures, the same emotions come swirling back… the rush of speed as I race back to defend my goal, the high of switching hands, dodging the goalie and scoring a goal against the other team, the satisfaction of stopping a shooter on an eight meter penalty shot. The body is older, the career is different, but the feelings are still there. Lacrosse is now the fastest growing sport in America and I am honored that I once got to be a part of it.